Home Make Money Mobile Tricks Tips No one is spying on your WhatsApp from this app, is not it? No one is spying on your WhatsApp from this app, is not it? Now there are millions of people worldwide who use WhatsApp. Now, if people do not give them food then they will also be able to do it - mobile and there is also a situation that can not be watched without WattsAP. But be aware of WhatsApp users - somehow you are not spying your WhatsApp out of your notice! Your Personal Data - Leakable App by Hacking Apps - has come to the market. At present, one is talking about an apple, whose name is 'CHATWATCH'. Using your 'CHATWATCH' app, your WhatsApp spying can be done. 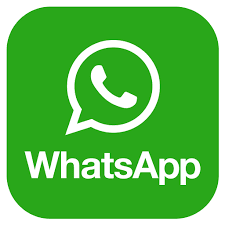 This spying can be done by none other than your friends or anybody close to you - they can keep an eye on your WhatsApp using this app. You can know how many times you use WhatsApp by using the 'ChatWatch' app, and how many times you have been online during the day. Whether or not you use the Last Seen feature - even if you've hid the last scene - this app will know that - when you were online. With this app, you get to know two different ones - Chat with Whatsapp Contact - they also know. To download this app, Android users have to pay around $ 2-3. Whenever you talk about selling your personal data to Facebook or Facebook, this app only goes to your privacy.